Plant of the month. September 2015 DWARF SCOTS PINE – Glacier View Landscape and Design, Inc.
Pinus sylvestris ‘Beuvronensis’ or Dwarf Scots Pine is an attractive globe shaped coniferous evergreen that holds its shape well and is a great addition for winter color to any landscape. Growing 6-8’ high and wide, it has been propagated from a witches broom since its discovery in 1891. Scots Pine is the only pine native to Northern Europe, spreading quickly after the Last Glacial Maximum about 11,000 years ago, but was pushed north about 5000 years ago and almost eliminated in England and Scotland due to the highland deforestation during medieval times. Beuvronensis was discovered in a French garden and distributed by Transon Freres who was a nurseryman at Beuvron, France, hence the name. 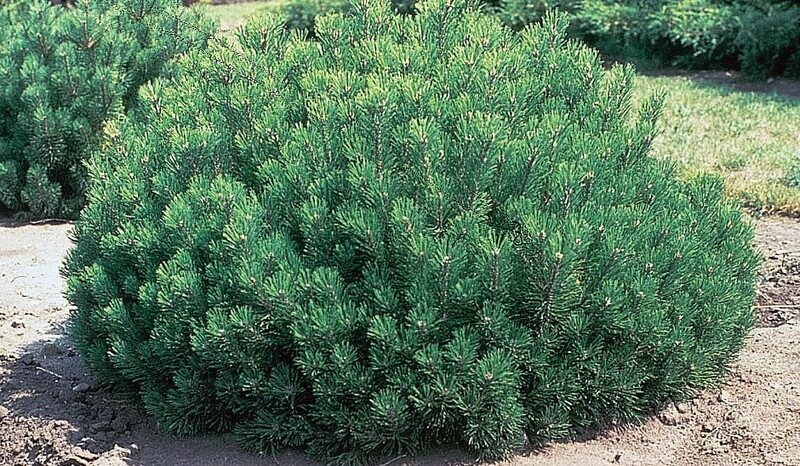 Beuvronensis is a slow growing pine that will handle the most difficult of soils, salts, and windy conditions. It has distinctly orange candles over the winter and an orange red flaky bark on more mature woody parts of the plant. It is especially resinous. It likes a well-drained soil and can take ample moisture, yet will still survive drought or prolonged dry spells if established. Some of the oldest specimens are probably still around today, since the parent species, Scots Pine, has been found to live for centuries (one was 405 years old when it fell recently). Readily available at local Colorado nurseries, they can be a bit pricey since specimens of any decent size are considerably older than other faster growing conifers, but their attractive shape and short needles make them special in any conifer garden or any Boulder Colorado landscape. Plant them with amended soil in a well-drained location, being careful not to over or under water during the first year of establishment. Plant in full sun or mildly partial sun locations and be patient. They are not for the gardener who likes quick results. Plant one or a few and enjoy them often.